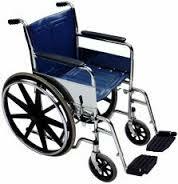 We hire mobility scooters, wheel chairs, walking aids, bathroom aids. All our rentals are tailored to your requirements with a full “Direct Delivered and Collected” service. All the major Hotel chains, Villa Management companies and Apartment Hotels here in Playa Blanca use our services. Over the last 7 years, we have built up an excellent working relationship, which helps us grow from strength to strength and benefits the clients and end-users. We offer our services throughout the island. For more details or to request a free call-back please visit our updated website.